Adam playing the role of matchmaker. For two shows in a row, UFC Welterweight, Jake Ellenberger steps in for an MIA T-Rexx and gives his expert analysis and predictions for the stacked UFC 168 card. Then, MMA fighter, Conor Heun, stops by to give Adam and Jake an update on what’s going on and his new life in Colorado. He explains why a combination of MMA and yoga has helped him work through his primal rage. 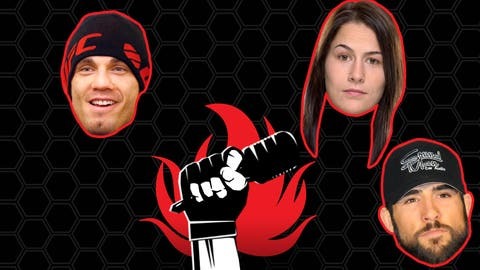 Finally, UFC women’s bantamweight Jessica Eye, shares how her life was effected since first being on the show and then agrees to a date with Jake.